jaipur was founded in 1727 by Maharaja Sawai Jai Singh II who ruled from 1699-1744 and initially his capital was Amer , which is far from jaipur 11 km . He felt the need of shifting his capital city with the increase in population and growing scarcity of water. 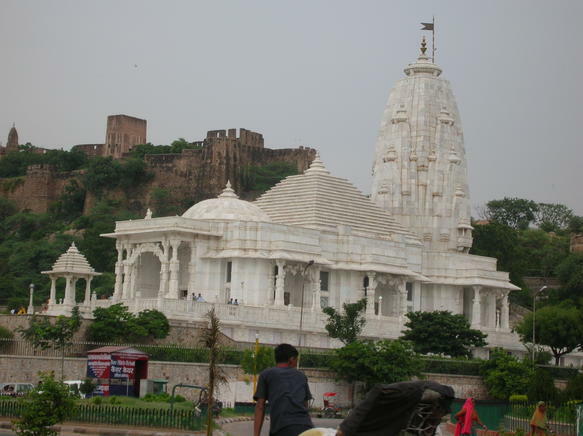 jaipur is the first planned city of India. The King consulted several books on architecture and architects before making the lay out of jaipur. Finally under the architectural guidance of Vidyadar Bhattacharya, jaipur came into existence on the classical basis of principals of vastushastra and other similar classical treatise. The capital of Rajasthan, jaipur is most natural place to begin a discovery of Rajasthan's multifaceted attractions. The city actually takes its name from a princely state called jaipur State that existed sometime during the 12th century. This state was home to the Kachwaha Rajput clan. The state was founded in the year 1097 AD by a man named Dulaha Raya, who came from Gwalior. They drove out the local Meenas and the Bargujar Rajput chiefs and settled over here. jaipur is rich in its cultural and architectural beauty, which can be traced in the various historical and aesthetic places that reside in the city. This city of victory really wins the hearts of the people with its splendid charisma. The directions of each street and market are east to West and North to South. The Eastern gate is called Suraj Pol, while the Western gate is called Chand Pol. There are only three gates facing East, West, and North including the Northern gate which faces toward the ancestral capital of Amber, while many gates face South.